We all thought that Millennials were obsessed with social media, but the Gen Z generation is taking this to a whole other level. Gen Z is beginning to garner purchasing power, and they are attracting attention that has bestowed on Millennials for long. Millennials are growing further into parenting and adulthood, so there’s room for the Gen Z generation to emerge. They are the first generation to be fully raised in the world of smartphones and social media. Therefore, the Gen Z use of social media is a different in many ways than the age that came before them. Take a look at how the Gen Z use of social media is different as well as ways for marketers to best connect with this particular generation of consumers. 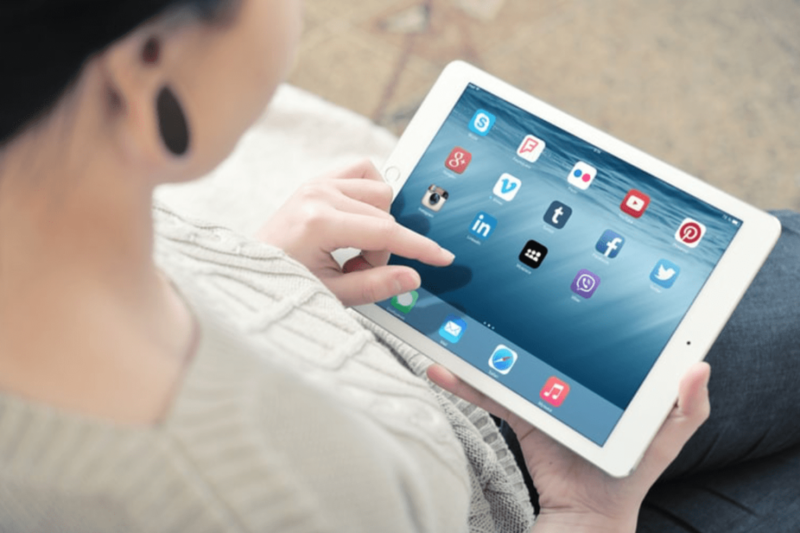 In comparison to other generations, the Gen Z generation favors social media platforms that contain less messaging and are more visually oriented. Only 51% of U.S. teens are using Facebook, so the days of long Facebook posts and long-form blogging is becoming outdated. Social platforms like Snapchat and Instagram are visually-oriented, therefore growing increasingly popular among Gen Zers. They tend to consume, create, and engage a lot more with photos and videos. A great vacation, fantastic look, or an awesome concert is communicated best with snaps, videos, and pictures. Millennials still use social media to keep up with their business contacts, friends and family, and personal interests. On the other hand, Gen Zers see social media as a source of branded mass entertainment content. They are as likely to follow social media influencers as they are to support their friends. They don’t want to catch up with anyone – they only seek entertainment. For example, Millennial teens used to post social media updates and check out what their peers were doing. Gen Zers use these platforms as content consumption hubs and time-fillers. Also, they don’t tolerate brand interruptions in the age of ad-free video streaming. Therefore, brands need to create material that Gen Zers will want to watch and that cuts through the noise. In their world, brands are the creators of entertaining content that is not directly related to the products they offer. Gen Z use of social media is more focused on entertainment than on staying in touch. They know that social media has the power to make or break people. They are respectful and wary of that power, unlike Millennials. Thus, Gen Zers prefer anonymous-minded platforms that give their users the option of hiding their content from others present on the same network. These platforms address the Gen Z’s desire for digital privacy. They believe that their behavior on social media could affect their future, including their dating lives, job prospects, or even credit scores. Older generations seem less cyber-ware, and some studies show that Millennials find social media more alluring. One out of three Millennials would like to go viral while Gen Zers are more conservative in terms of data privacy. Gen Zers are aware that social media affects their emotional wellbeing. Therefore, they’re ready to leave it to reduce stress and balance their emotions out. Despite them loving to make purchases and follow brands on social media, they know that social platforms are capable of harming their lives. Low self-esteem, insecurity, and fear of missing out are emotional states that can be caused by social media use. 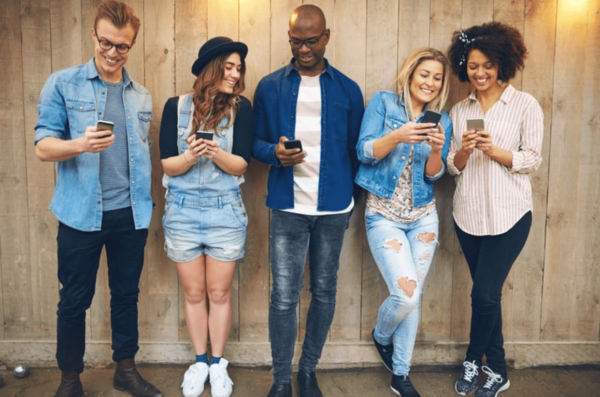 On the other hand, Gen Zers love social media because it also allows them to connect and have a positive effect on their self-esteem and friendships. It is a struggle that marketers need to understand because it determines the types of content that Gen Zers are more likely to engage. How to Market to Gen Z on Social Media? Gen Z use of social media is much different from other generations. However, they are young, and their habits will continue to change as they mature. The time to understand them is right now as they are four times more likely to convert on social media than Millennials. Plus, 95% of Gen Z own a smartphone and will spend up to 10 hours a day online. Gen Zers like to see themselves represented in content and onscreen. Therefore, including images of them across your marketing would be the right move. For instance, Gucci incorporates Gen Zers in much of their social media marketing. They pay attention to what resonates with this generation of consumers. By proving that they understand them, Gucci draws them to their brand. Keep track of the current pop culture and the new wave of trends. To empathize and relate to Gen Zers, you should research their preferences and habits continually. The best way to do it is to keep up with their icons and influencers. Find some recent studies and research to understand this generation and create the right content. Stay on top of all their social media interactions. Keep track of live social feeds. Monitor hashtags, mentions, and keywords. Curate valuable material that they can share with their followers and peers. So try eClincher out today – we offer 14 day free trial (no credit card required).